With the obesity crisis at an all-time high, it is of the most importance that people begin to change the way they live. Not only are people putting their own health in jeopardy, but they are also putting a huge strain on healthcare services as they develop preventable diseases. One great way to maintain your health is time restricted eating. 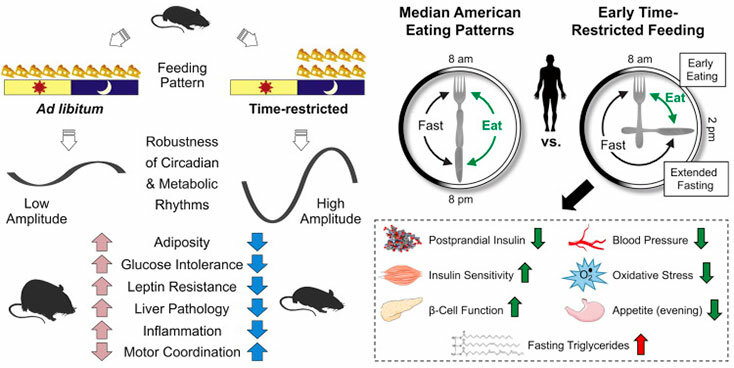 This dieting method is based on our body’s circadian rhythm. Because our cells all have roughly a 24-hour clock that they run on it is important to respect these biological mechanisms or else the body will be thrown out of synchronization, which can lead to many serious side effects. In today’s modern world it is often hard to maintain a “normal” lifestyle. Many people work night jobs, long shifts, or must travel extensively. This makes it very difficult, if not impossible, for the body to maintain homeostasis. When we do not follow the body’s natural programming it throws off metabolic pathways that effect every organ system in the body. If one cannot maintain a normal sleep cycle, one good first step is to eat within a certain time period, usually 10 hours. This 10-hour window starts as soon as you ingest anything that is not water. So true. The first part is right; its hard to have whats considered "normal". Great tips, definitely gonna try it out.